Leather cuffs are a popular trend that has been around for years. This tutorial was created in 2011 but the style is still fashionable for today. Leather cuffs can be worn by both male and female, and make great gifts if you are stumped on what to make for your brother, boyfriend, or male friend. 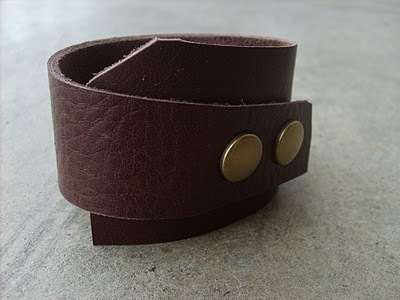 Check out this tutorial and learn how to make a stylish Leather Cuff.